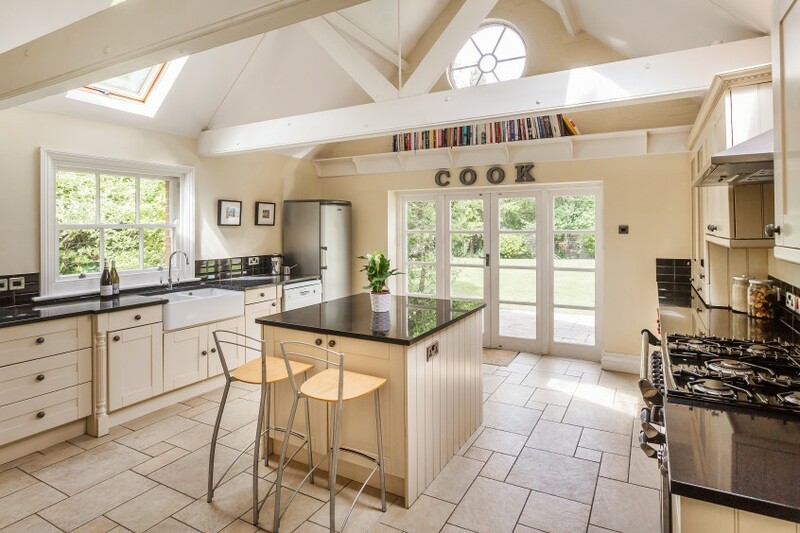 As we head into the final week of The Great British Bake Off, where the finalists will be battling for the prestigious winner’s trophy on 30th October, we thought it’d be a nice treat to share some fabulous kitchens that definitely rise to the (baking) occasion. Our first pick is West House in South Holmwood which provides 5,000 sq. ft. of luxury living. The kitchen is seriously impressive. 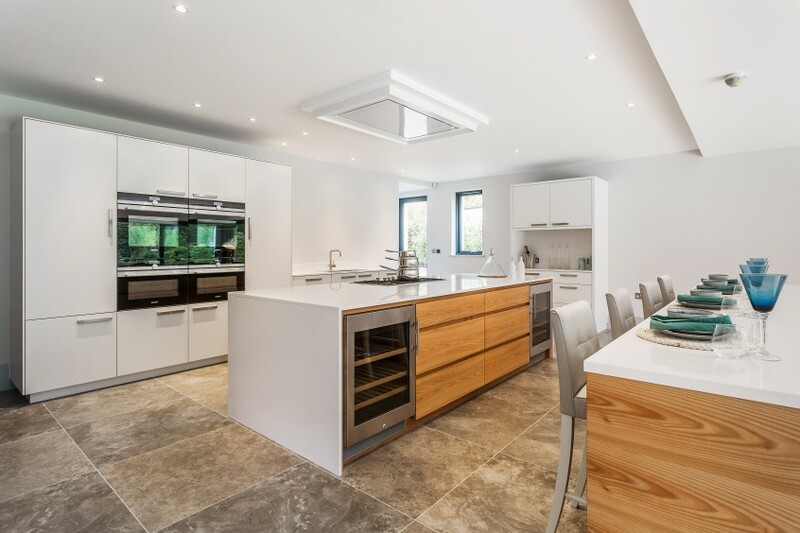 Cleverly designed, it offers an uninterrupted view of the landscaped garden and features white quartz stone work surfaces and a breakfast bar as well as two double ovens, and a large fridge freezer providing an abundance of space for baking your favourites. You can even chill your wine in the dual wine coolers while you prep. High Barn occupies an elevated position in Effingham with spectacular panoramic views of London’s skyline. 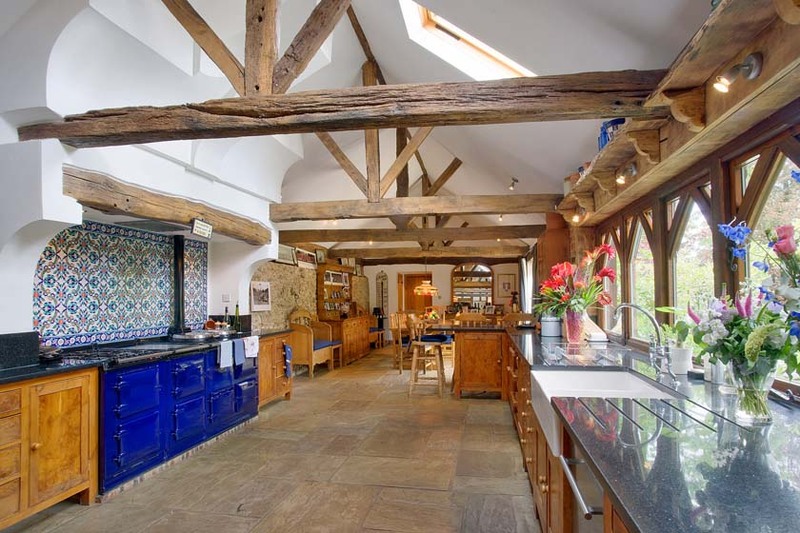 The kitchen is located in the main residence, a converted oak-framed period barn, and boasts immense character with stone floors and exposed brick and flint walls. The kitchen and breakfast room spans 45 feet giving plenty of space for entertaining while baking treats. Alfold Cross is a gorgeous Victorian family home arranged over three floors and set in 1.35 acres. The kitchen features vaulted ceilings which reinforce the enviable sense of space and flood the room with light; there is even a butler’s pantry which provides an ideal area to add the finishing touches to your baked goods before serving to your family or guests.